Two mayors say no to more slots. 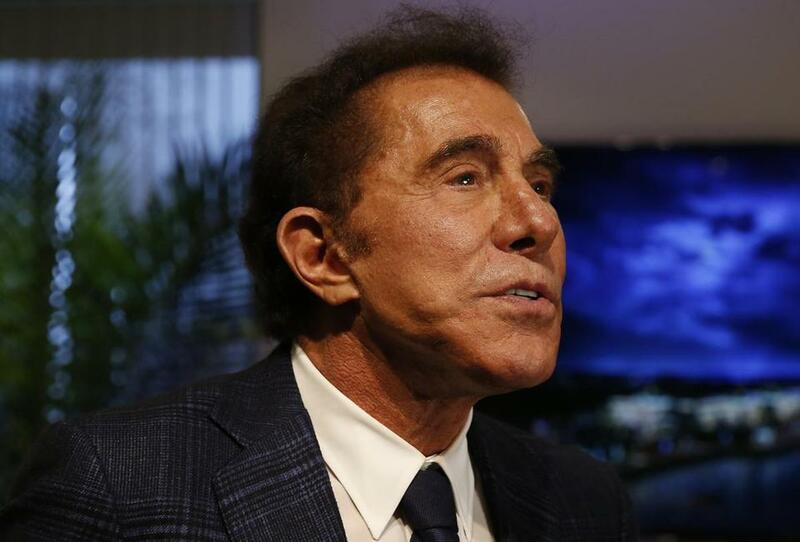 Will casino mogul Steve Wynn? My dream column: Somerville Mayor Joe Curtatone and casino mogul Steve Wynn joining forces to defeat a ballot question that would allow a second slots parlor in Massachusetts. Curtatone famously opposes casinos, especially the one Wynn wants to build in Everett, a.k.a. Somerville’s backyard. But in this case, the enemy of my enemy is my friend. The last thing Wynn wants is the possibility of a slots parlor in nearby Revere, but that could happen if Massachusetts voters support the slots initiative that is expected to be on the ballot in November. Curtatone quips that Wynn and his team “haven’t confided in me,” but the mayor would find it hard to believe that Wynn or anyone else with a hard-fought gaming license would want more competition. For now, Wynn is staying neutral, and so are other gambling types, such as Plainridge Park Casino, which operates the slots-only casino in Plainville, and the Mashpee Wampanoag tribe, which is building a casino complex in Taunton. But Curtatone is right; they don’t for a moment like what is happening. “While we haven’t decided whether we’ll engage in the fight over this ballot question, we think the more Massachusetts voters learn about this effort and who’s behind it, the more the opposition will grow,” Eric Schippers, a senior executive at Penn National, which owns Plainridge Park, said in a statement. Schippers is referring to Eugene McCain, the secretive figure behind the campaign who was living in Thailand last year when he decided to start a ballot petition to change Massachusetts gaming law. Currently, the statute allows for three resort casinos and one slots parlor, but now he’s proposing the state issue a second slots license to a location that sits on at least 4 acres and is within 1,500 feet of a horse-racing track. McCain, as the Globe reported last fall, has been assembling parcels in Revere next to the Suffolk Downs horse-racing track, whose owners tried to build a resort casino there. At some of the meetings, McCain has brought along controversial gaming associates, including one who is a convicted felon. Under Massachusetts law, felons are not allowed to profit from gambling projects. I’m not one to say no, given my support of casinos. But the people of Massachusetts should reject this expansion of the gaming law. Enough is enough. But even if McCain succeeds in getting voters to approve his measure, the odds are stacked against him. Here’s how: The Massachusetts Gaming Commission will oversee the licensing, and it’s unlikely it would give out another gaming license in Greater Boston or near another casino. The commission fears saturation. In April, it declined to award the third resort casino license, in the southeast region, out of concern the Brockton proposal would be too close to a casino being built by the Mashpee Wampanoag. Beyond the Gaming Commission, McCain will need to win over his potential host community of Revere. True, the residents of Revere supported a proposed resort casino at Suffolk Downs in 2014, but that was then and this is now. That project had the support of then mayor Dan Rizzo, but the current mayor, Brian Arrigo, does not want to see a slots parlor in his city. McCain, in a statement, pushed back and cited a poll his group commissioned in May of 325 Revere voters indicating that 59 percent would support a slots parlor. Of course, the wild card in all of this is whether others will step forward to apply for the second slots parlor license. The obvious suitor would be the owners of Suffolk Downs. The horse track lost its bid for a resort casino to Wynn and has not been involved in the ballot petition, but one of Suffolk Downs’s principal owners, Joe O’Donnell, told me no decisions have been made on what they might do. “We reserve judgment until we know what we’re talking about,” O’Donnell said. Which leads us back to the Gaming Commission. The five-member group is not taking a position on the slots question, but it will play the most critical role of all if the ballot petition succeeds. We’re going to have to count on them to do the right thing.